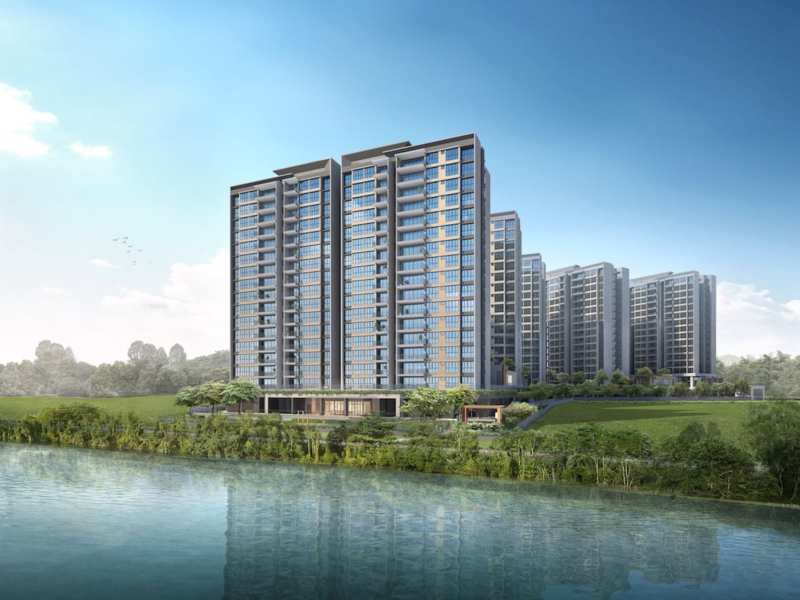 Rivercove Residences, a brand new executive condominium in the Anchorvale neighbourhood of Sengkang, Singapore, is expected to launch soon after an extremely successful tender in late 2016. The new and highly anticipated EC will launch in a neighbourhood that isn’t short on great nearby entertainment or excellent schools and is coming from a team of prestigious developers, Hoi Hup Realty and Sunway Developments. Rivercove Residences Anchorvale has an expected launch date of late 2017 or early 2018. The Rivercove Residences EC site attracted the most competitive tender since 2013, with 16 developers bidding on the property – the most since 2013. For a bit of perspective, the average number of bidders for an EC tender in Singapore is about seven or nine. 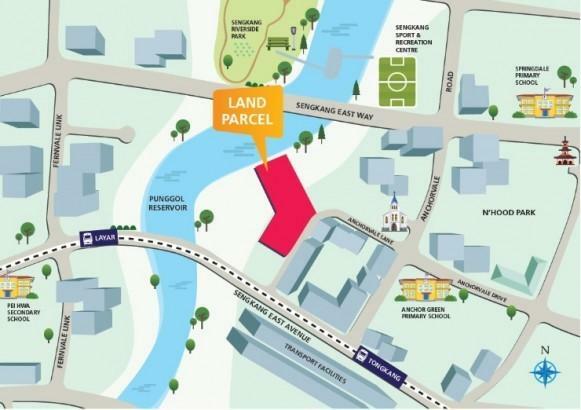 The highly sought after Rivercove Residences EC location was sold for an impressive S$240.95 million to a joint venture between Hoi Hup Realty and Sunway Developments. The competitive tender is a testament to the prime location, the expected growth of the Sengkang area as a result of the government master plan, and an increasingly optimistic EC market. With the Rivercove Residences launch date projected for later this year or early into 2018, the EC could not launch in a better place or at a better time. With 678,600sq ft of land to build on, the Rivercove Residences executive condo is expected to house 635 units. It sounds like a lot, but once the Rivercove Residences showflat location is announced these units will go fast if buyers see the potential that the bidding developers did. Future residents can expect a location that offers the best schools, shopping, and entertainment, as well as a stylish and well-planned condo built by a well-established duo of developers who are no strangers to building high-quality properties. Sunway Development and Hoi Hup have collectively been in the development business for decades and know a great opportunity when they see one. It’s the reason why they decided to combine their resources to place the highest bid at tender for Rivercove Residences EC. Since 1976, Sunway Development has shared the same values as Hoi Hup, but with an additionally strong commitment to sustainability, giving back to the community, however, they can. While they specialize in developing sprawling townships like Sunway City, they’ve brought their expertise to a good deal of individual residential developments such as Kiara Hills, Sunway Palazzio, and Sunway Vivaldi. Rivercove Residences isn’t the first joint venture these developers have cooperated on. In the past, they’ve come together to develop Lake Vista @ Yuan Ching, City View @ Boon Keng, and The Peak @ Toa Payoh. With the development of The Peak, an apartment with 1,200 units, Sunway and Hoi Hup have proven that they’re able to tackle and succeed at even the most ambitious tasks. Their strong partnership is good news for Rivercove Residences’s development. While the exact Rivercove Residences EC floor plan won’t be known until launch, it might be similar to the floor plans of these earlier joint projects. Rivercove Residences will be joining a growing list of executive condos in Sengkang as the demand for residential areas increases. While details on Rivercove Residences price plans won’t be available until closer to launch later this year, nearby similar properties offer a glimpse of what we can expect. According to Property Guru, a popular Singapore property review portal, current listings for the rent of a similar EC in the area, Lush Acres, range from S$800 to S$1200 per month. Condos available to buy, like nearby Treasure Crest EC, are currently listed between S$675,000 and S$980,000, with The Vales in a similar range. Bellewaters, a newly launched EC in Sengkang, sees higher listings in the S$800,000 to S$1 million range. Because it is the most similar to Rivercove Residences, Bellewaters EC provides the best idea of what the average Rivercove Residences price at launch later this year, but we can’t know for sure until launch. No matter what though, RIVERCOVE RESIDENCES will share the same great location as the other three ECs in the area. Rivercove Residences residents will have access to top quality education facilities right outside their home. Parents aren’t limited to just one primary school, but can instead have several nearby options to choose from. The condo is just minutes away from three outstanding primary schools – Anchor Green Primary School, Nan Chiau Primary School, and Springdale Primary School. For secondary school, Nan Ciau High School is also just around the corner. Founded in 1947, Nan Ciau High School may be old, but it’s by no means behind – a leading information and technology (ICT) school in Singapore, Nan Ciau has a reputation for excellence in tech-based learning. The Rivercove Residences EC location offers the perfect mix of entertainment for shopaholics, athletes, and foodies alike, with new shops and restaurants continuing to pop up as part of the government master plan. One of the largest attractions is the nearby Sengkang Sports and Recreation Centre, a huge facility that boasts a four-story community centre, swimming pools, badminton courts, soccer fields, hockey rinks, and more – there’s ample space for any sport you or your family could ever want to participate in. The Sports and Recreation Centre is especially unique in that it’s located on a river, allowing for all kinds of aquatic activities from water skiing to canoeing. For the kids, there are five water slides, dozens of sports teams to join, and plenty of after-school activities offered at the community centre. For the adults, there’s fitness coaching and group exercise classes. For shopping, Compass One is the mall that has it all. Only a few minutes from Rivercove Residences, the large shopping mall offers every kind of store one could imagine, from bakeries with savoury confections to electronic stores selling the latest gadgets, and clothing stores showcasing the newest fashion trends. Outside of the mall, there are several smaller fashion boutiques and cafes just down the road. The government master plan for improving the town of Sengkang is an exciting prospect for future residents of Rivercove Residences EC. The plan includes new schools, healthcare facilities, shops, parks, and residential areas, all of which create new job opportunities for Sengkang residents. Rivercove Residences	Overall rating:	0	out of 5 based on 0	reviews.